Gold Medal in MCH, Liverpool, 1984. PHD, University of London, 1993. He held successful academic grants from the Arthritis & Rheumatism Council, the Wolfson Foundation, Hammersmith & Queen Charlotte Special Health Authority and Proteus Molecular Design, all in the UK. He supervised postdoctoral fellows in his research, which enabled him to continue his clinical work and interests without interruption. Two of his research assistants went on to obtain PHD in related projects. He is on the Faculty of the Annual MAMC Instructional Course in Orthopaedics at Maulana Azad Medical College for MS and DNB students from all over India. He is also committed to teaching a 4-month Basic Spine Course at MAMC every year for postgraduates and intends to develop Advanced Spine Workshops in due course. Awarded Padma Shri by President of India. 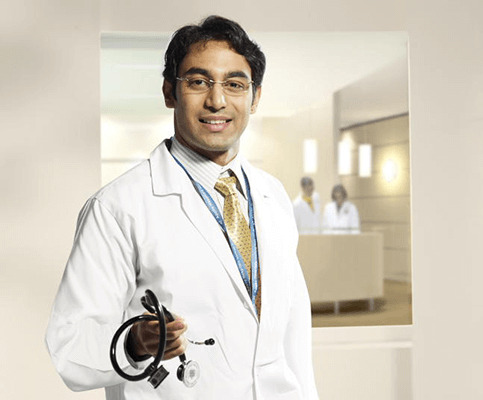 Faculty in Orthopaedic & established Spine Surgery. Commendation certificate from Royal College of Surgeons, Edinburgh, for Teaching.